Just Thinking....: HUGE NEIBA TREAT!! 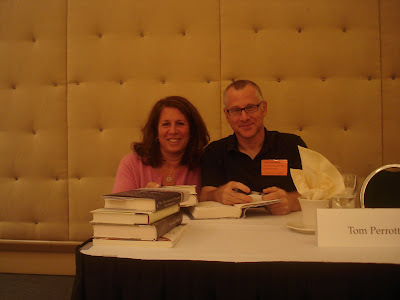 What a thrill to meet Tom Perrotta (Joe College, Election, Little Children, The Abstinence Teacher) in person! Tom was a guest on the show a couple of years ago and am looking forward to chatting with him soon about his latest which has gotten so much fabulous (and much-deserved) praise! Tom just seems to be everywhere! Check blog for updated show info!